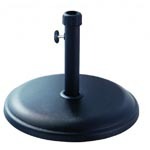 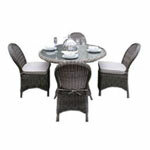 MazeRattan's Baby Dallas Stacking Dining Set consists of one round table and 4 curved bench-style seats.The round table is complete with a glass topped surface, tempered for added toughness. 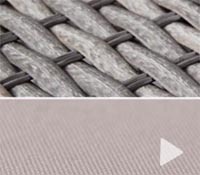 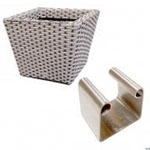 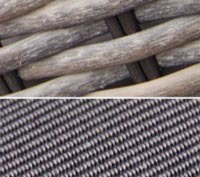 Constructed from weather resistant rattan weave wrapped around a rust-resistant aluminium frame, this unusual and distinctive design offers a great alternative to traditional garden furniture. 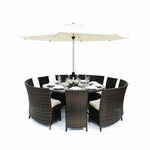 The Baby Dallas Stacking Dining Set is maintenance-free so can be left outdoors all year round. 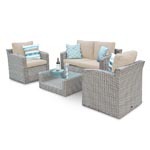 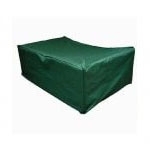 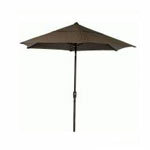 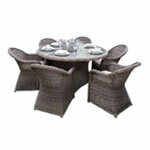 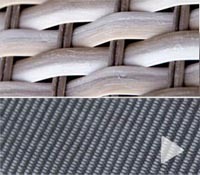 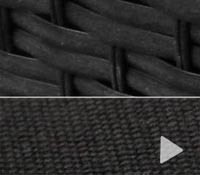 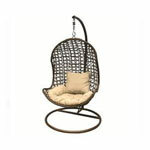 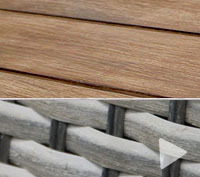 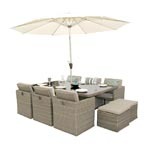 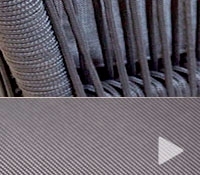 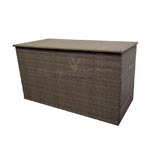 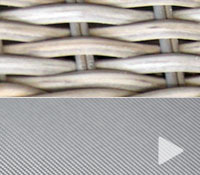 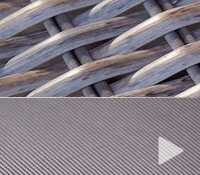 It is also UV light resistant which ensures that the coloured rattan will not fade in sunlight. 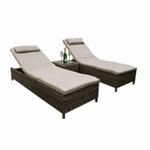 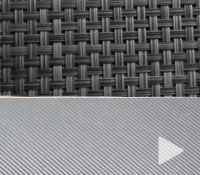 The luxurious beige seat cushion covers are shower-proof, removable, and washable. 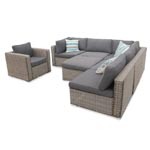 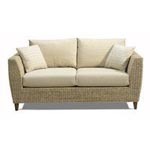 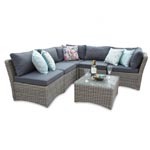 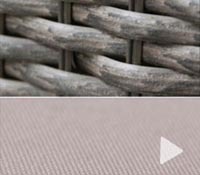 This stunning piece is from the Royal Rattan Collection, which offers exclusive, stylish and high quality outdoor furniture. 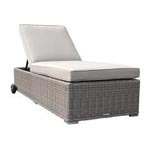 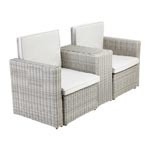 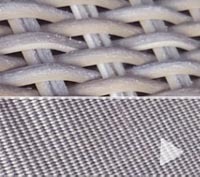 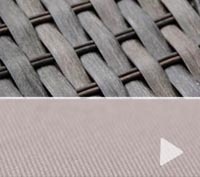 The Baby Dallas garden furniture from Maze Rattan features flat rattan hand woven on a aluminium frame. 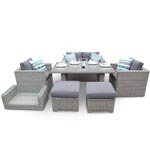 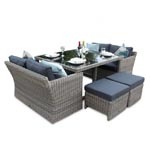 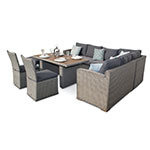 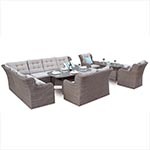 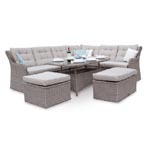 The smaller version of the popular dallas dining set, this set is Ideal for a small Patios or Gardens, this set consists of 4 curved benches and a Round Table. 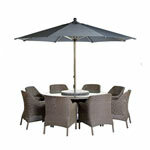 The ultimate in dining experience, the Dallas will look stunning in any garden setting, be it contemporary or traditional. 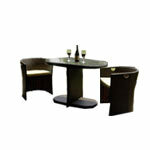 This set is available in Black, Mix Brown.